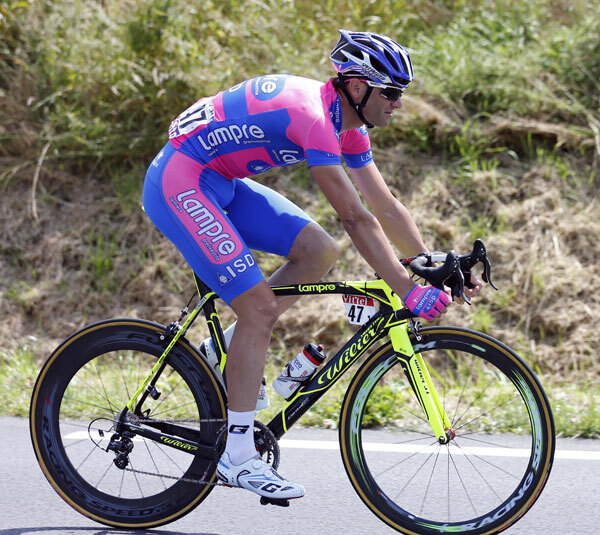 The whole of the Lampre team were aboard a new bike from Veneto based Wilier, albeit with special paint jobs for the big boys Pettachi and Scarponi. The latter two may have a penchant for neon colourways but beneath the bling, the whole team roll on what appears to be a lighter machine with a nod towards stiffness rather than aerodynamics if the massively squared of tubing profiles and asymmetric, deep boxy chainstays are anything to go by. 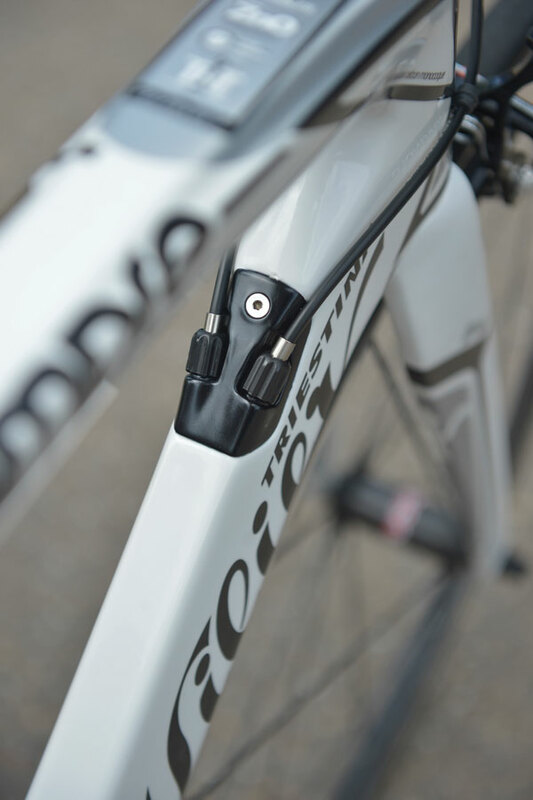 Comparatively miniscule seatstays should offer an element of comfort, but given the scale of the integrated seatpost, this isn’t likely to be a lump-smoothing machine. 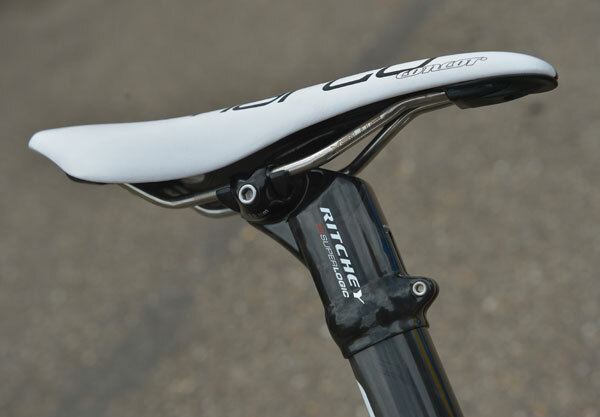 Topping the integrated seatpost is a single bolt adjusting Ritchey head. 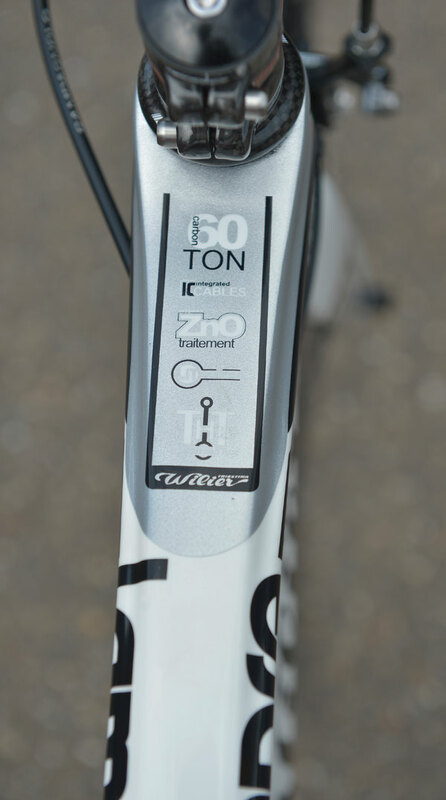 The aluminium clincher wheels were on for a pre tour training ride but you can expect to see some carbon tubulars from Fulcrum come race days. 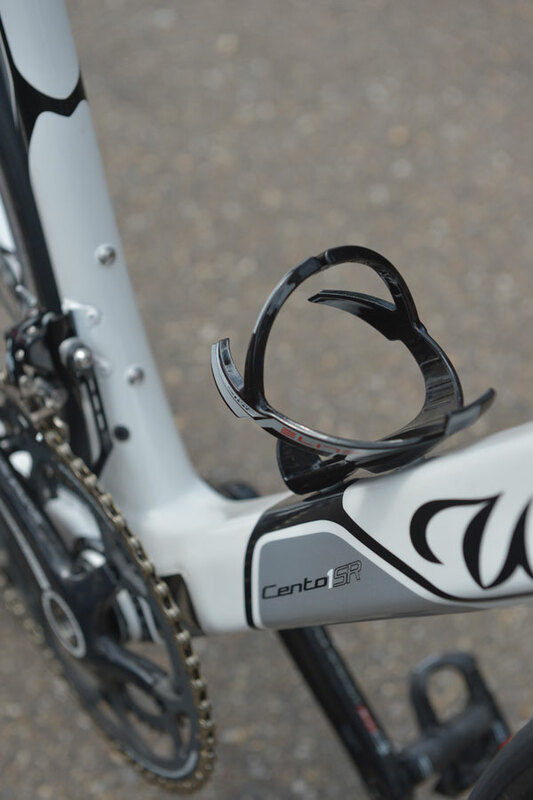 What won’t change is the Record groupset – no titanium encrusted Super Record here – are times that hard for the Italian team? 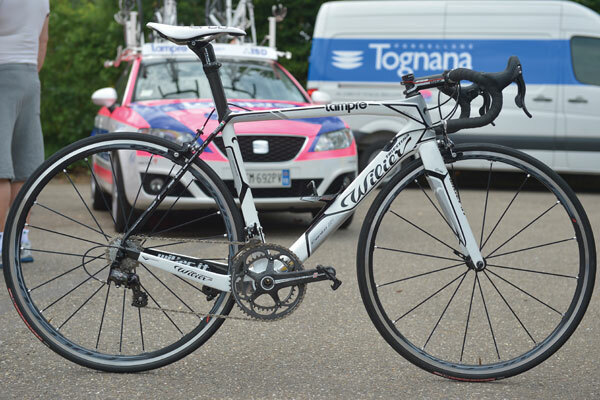 The bike that caused the big Tour crash? 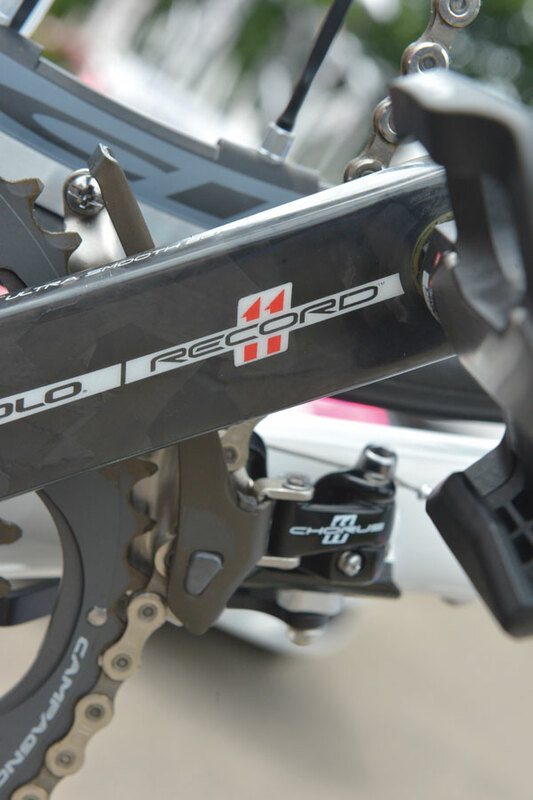 This removable cable port with integrated adjusters should make set up simple and is likely to be changeable for an electronic cable version.